Duel offers an amazing fix to the unrealistic combat system in Skyrim. It completely changes how every battle is fought. It forces users to pay close attention to the stamina bar, as it becomes vital for survival. 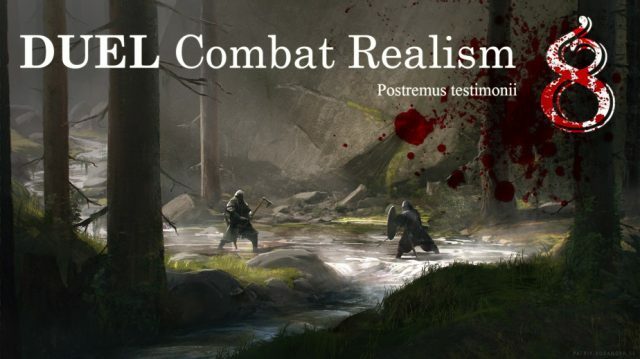 This mod ties in your armor and your weapons to bring realism. If you use a good shield, it can actually stop the attack completely. This means users need to be tactical and use both defense and offense if they desire victory. 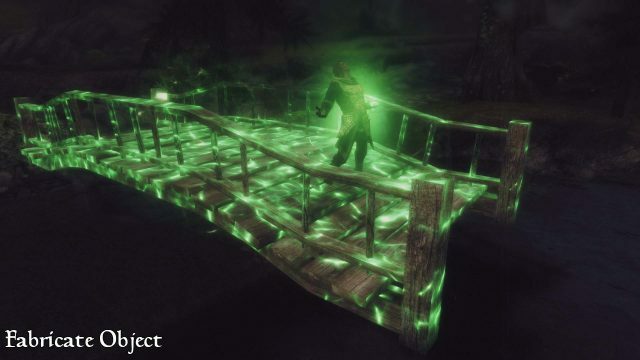 The Reverse Crafting mod brings a much-needed feature to Skyrim. 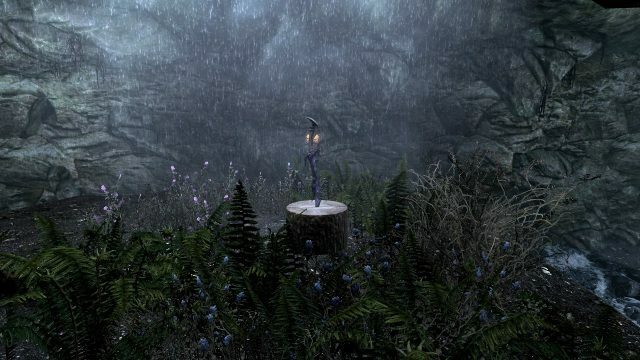 In plain old Skyrim, if players on their quests find something useless like a lower tier sword, that item is thrown away. You can not reuse its materials to make something else. 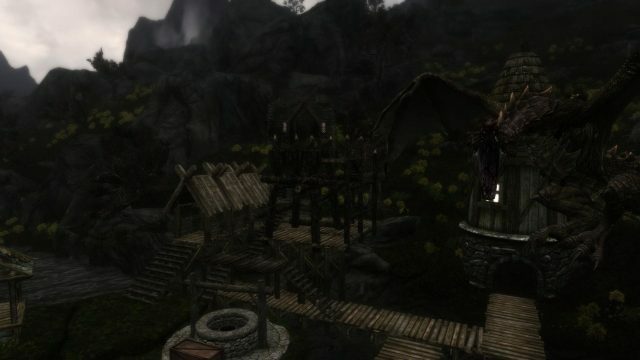 This mod brings that feature to Skyrim. If you find a junk item, you can recycle it and re-purpose its materials. This makes the overall gameplay better for the players because the materials can be easily used somewhere else for bigger and better things. The world of Skyrim is a vast one, with many items and weapons. 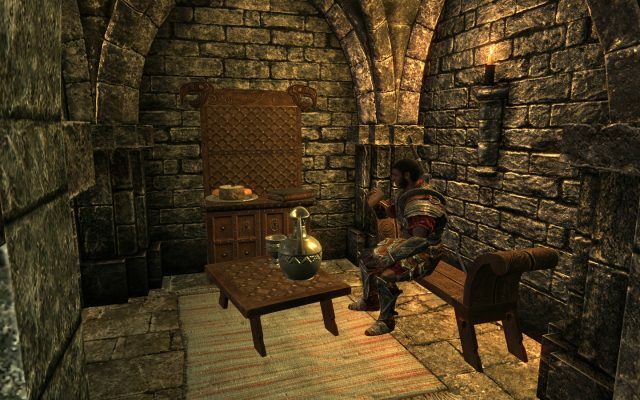 On your quests, you will find many items, and many are of use, so choosing between them can become a daunting task. 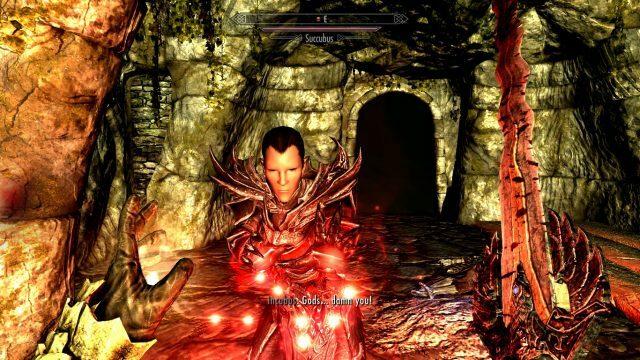 This mod allows your character to hold more items than in plain Skyrim. This way, you can have all the items you need without opting to leave anything behind. 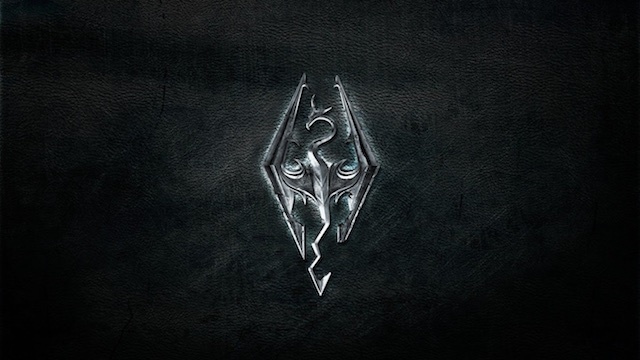 Skyrim has a lot of loading screens, and everyone knows how frustrating loading screens can be. They tend to ruin the flow of the gameplay; especially when you cannot even stroll in a city without them being loaded. To solve this issue, this mod comes into play. 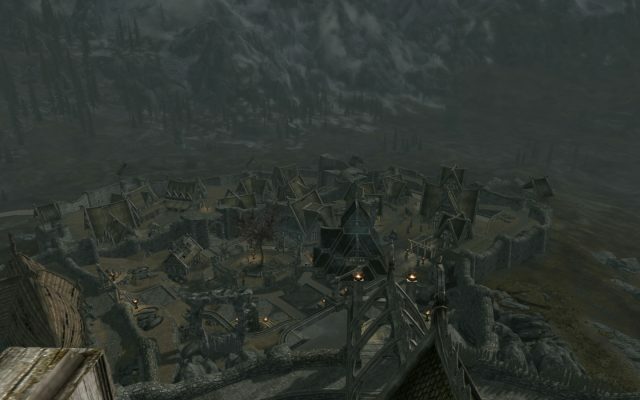 This mod banishes all loading screens when you are in the city. This means you are free to roam around in the city, without the annoying loading taking place. A simple mod, yet a frustration reliever. This mod is as grand as they come. It produces a fully built castle with extremely accurate textures and details. The castle is a complete construction with eerie corridors and dungeons. It is a thing of beauty to look at but is not only about the beauty. 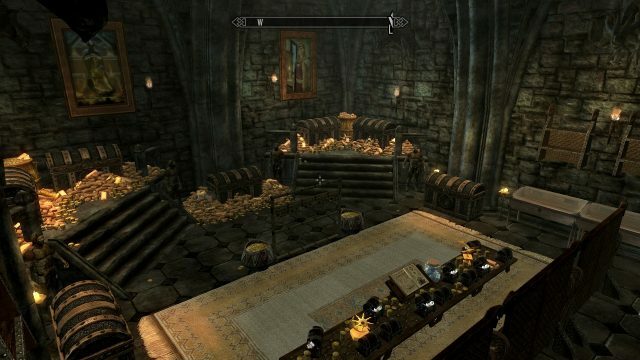 This grand castle comes with its very own quest line, which is set after the events of Dawnguard. Skyrim’s quests are pretty fun to play and offer a lot of action and quests. However, you sometimes might want to slack off and just chill. This is where the Tundra Defense mod comes in. This mod introduces a tower defense style mini-game in which you build your tower and then defend it. The mod is well built and makes you more responsible, as you need to defend your ground, else it will be overrun. You can hire guards to help defend your creation, have citizens settle in, or even trigger attacks by yourself for instant action. 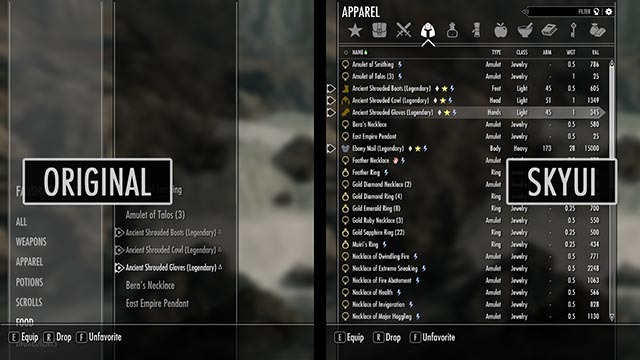 Now a lot of you might not like the stock UI that Skyrim offers and I don’t blame you. The UI does feel a little bit clunky and you can easily get something a whole lot more intuitive by using a mod. 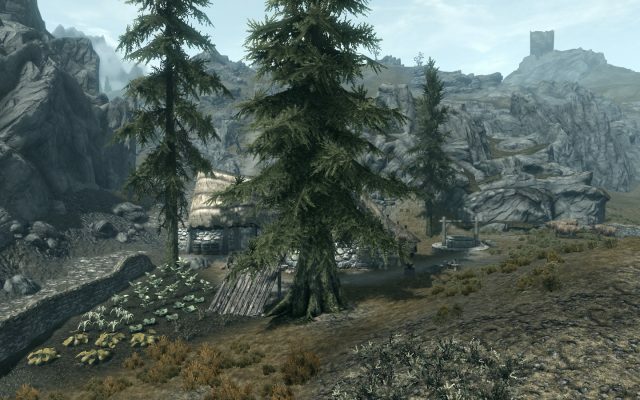 I would recommend that you try out Sky UI – a great UI replacement for Skyrim which will surely improve the way you interact with the game. The mod offers a much more convenient inventory management system, support for full text search, sorting and extended data columns. 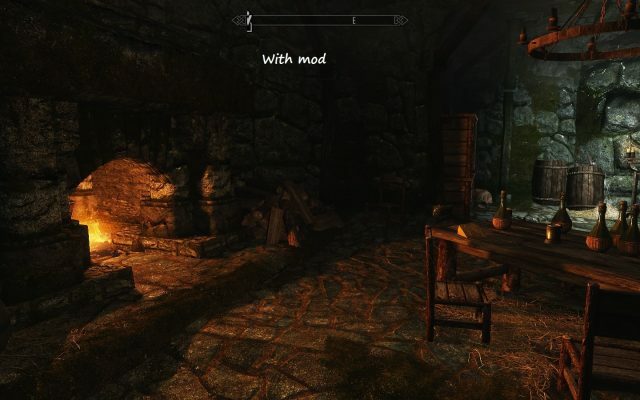 The mod also offers complete customization, among a ton of other features, which makes it one of my go-to mods every time I think of doing another quick play through of Skyrim. 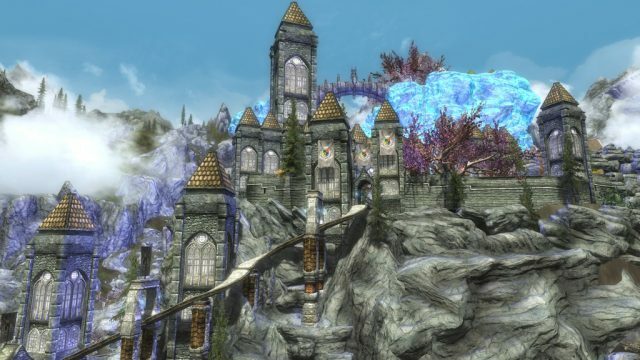 The lost city – Atlantis – has made its way to Skyrim with this mod. Through this mod, Atlantis rises from the depths of the seas to give you more ways to interact with Skyrim. This mod fits well with the Skyrim lore and offers a lot of beautiful scenery, as well as different characters for you to explore. This dungeon is filled with merman, whirlpools, and agents of Hades. 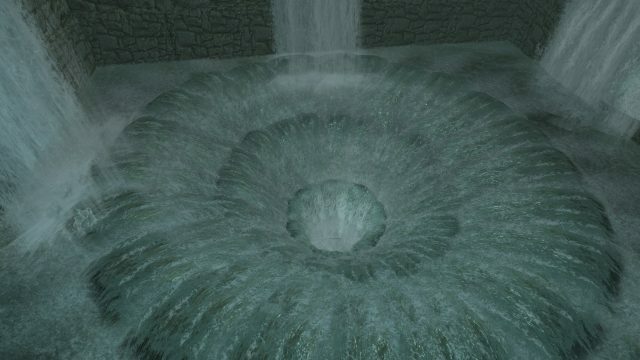 The dungeon is 4 hours long, and you need to fight a challenging boss after the four-hour exploration of the ten chambers present in this dungeon. The Falskaar mod is one of the most impressive mods out there. This mod creates a whole new continent, with a whopping 25 hours of gameplay. The creation of Falskaar took nearly 2000 hours, and the creator now works at Bungie, creating Destiny. We encourage anyone who reads this to give this mod a try. The continent has numerous quests and wildlife, and the landscape is beautiful. Attention has been paid to the details, and the mod’s popularity further proves the great gameplay of this mod. The Rabbit Hole Dungeon mod produces a vertical burrow of a dungeon, as implied by its name. The dungeon goes 50 levels deep into the ground and offers a lot of adventure for players. The dungeon has different enemies in each of those 50 levels. You must beat all the enemies on a particular floor to proceed to the next floor, like an arena action adventure game. This makes the dungeon more challenging, as 50 levels of enemies is a lot to take on. The dungeon also changes every time you revisit it, making sure you get a new experience every time. 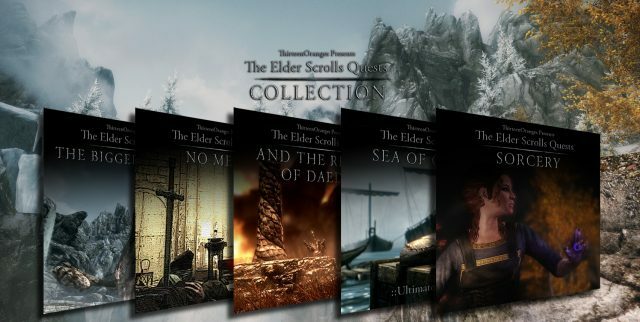 ThirteenOrange creates a series of quests in Skyrim which sure are amazing. 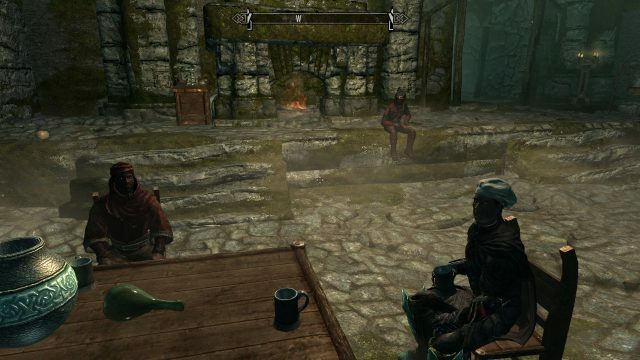 These quests are lore-friendly and fit perfectly into the Skyrim world. A lot of thought was put into the mod, as the quests offer much more than just fast enemies. There are total five quests, and every one of them focuses more on story than random fights. There are well-written scriptures, and a wide variety of landscapes to explore. You will travel to different realms, beat a giant and slay creatures. All with one mod. 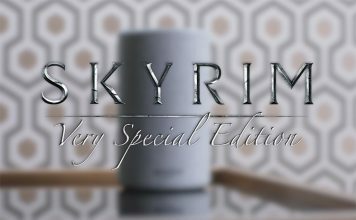 A must try for all the Skyrim fans. If you liked the gameplay Falskaar brought, then you are surely going to love the Enderal mod. This mod brings close to 100 hours of fresh gameplay, and it feels like a new game rather than a mod. Enderal is beautifully created, like many other great mods out there. 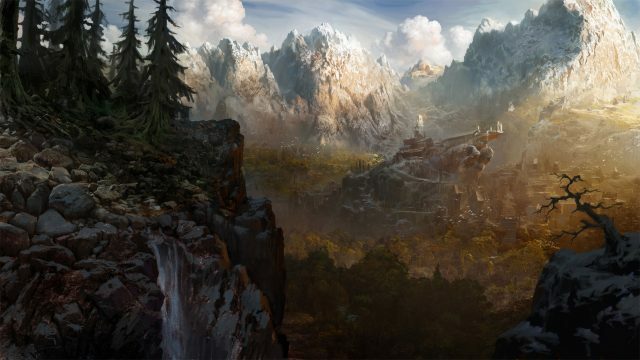 It features an amazing quest line with voice acting, and many new landscapes to explore. The landscape ranges from a densely forested mainland to snow covered mountains. This mod also overhauls the skill and talent system. Now, this mod may seem a little clickbait-y, but it is still pretty cool. 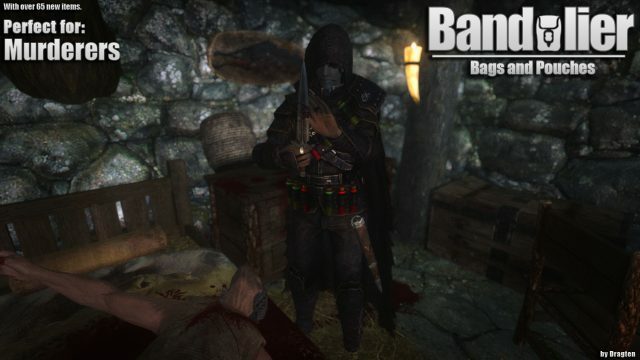 The mod strips off your armor & weapons and forces you to face your enemies with your bare hands. The mod introduces two new skill trees: Unarmed and Unarmored, and it also introduces perks related to your new way of fighting. This It does not do anything but answer the question: Can I really a take on a mammoth with my bare hands? 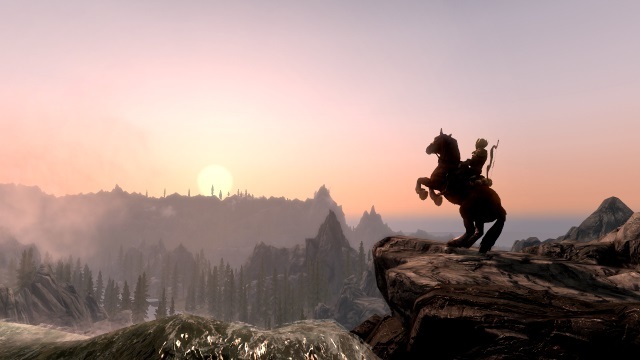 For some of you out there, modding is a way to make any game a whole lot more immersive. 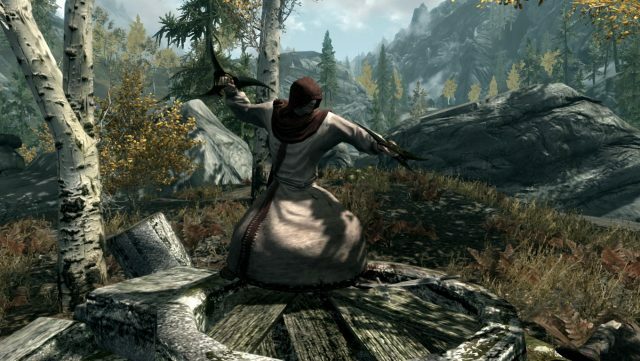 If that’s the case with you, then you should definitely check out the Immersive Weapons mod, a mod that will drastically enhance the variety of weapons in the world of Skyrim. The mod adds 230 new weapons to the game, all of which somehow fit into the lore, and distributes the around the world. 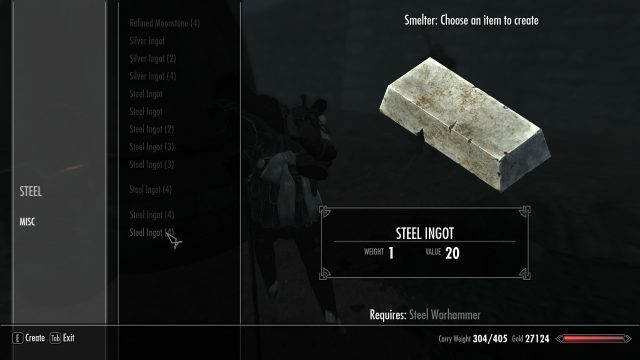 With the mod, you’ll also be able to break down weapons at smelters and get their base components and make new weapons with custom crafting requirements that further promote immersion. 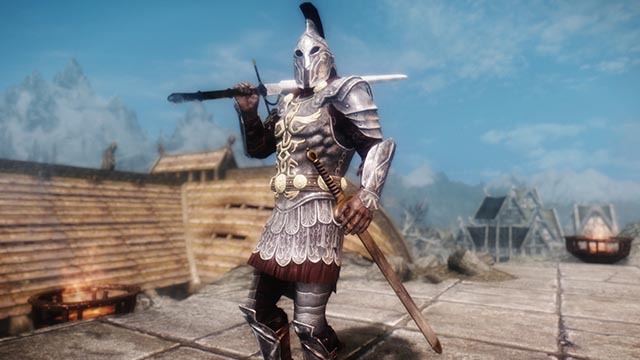 In case you like the mod, you should also check out the Immersive Armor mod which does pretty much the same for the armor you can find and equip in game. Survival mode mods are becoming more and popular, and this mod is for those who are looking to start out in the survival mode scene. 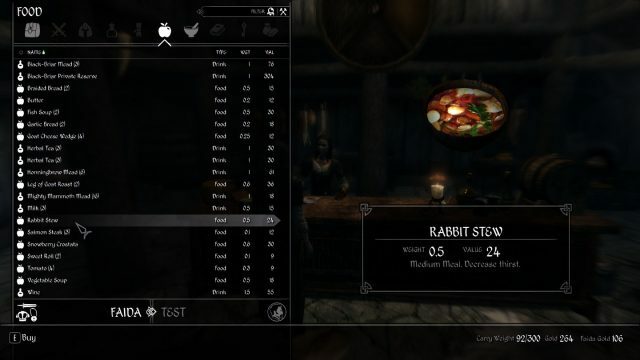 This mod makes it necessary for your character to do mundane tasks such as sleep, eat, and drink water. Failure to do so would result in dire consequences. This mod is not as severe as other survival mods, but it still will make sure you are wary of such things before taking off on a quest. If you enjoyed the Dark Brotherhood quest and its storyline then you are going to love this mod. This mod adds another 4+ hours of campaign to the Dark Brotherhood storyline. You will be accompanied by the best contract killers in the brotherhood and listen to some of the best stories they have to share. Learn more about the intricate details of the dark brotherhood and enjoy new conversations via this mod. You are a part of the brotherhood now. This mod is filled with magic. It is a new setting with different structures and landscapes like the school of witchcraft. It takes you to the town of Manantis, where you will be greeted with tons of magical stuff. You will be able to learn hundreds of spells from all the schools of magic and get dozens of new followers. It even comes with a quest to help you explore the magical realm. This mod is a truly magical (pun intended) experience. This mod is the mother of all mods. This completely changes how you play and view Skyrim. 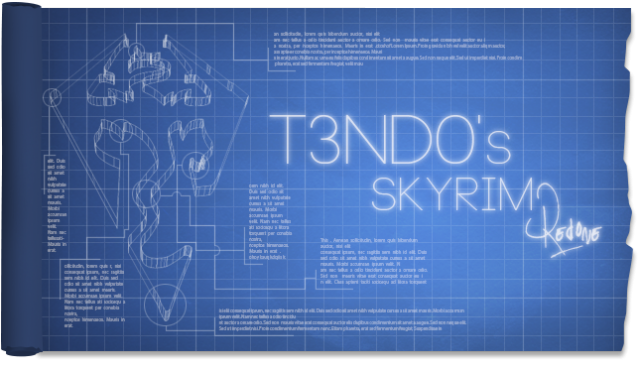 T3ndo’s Skyrim redone is a combination of different mods to give the game a complete makeover. It brings nifty new features and weapons like a grappling hook and disguises. It also is a complete overhaul of the game down to the perks, skills, and stats of every character. This is a broad and complicated mod and tends to have some issues with some systems. However, once you get it running, it truly gives you an amazing experience. 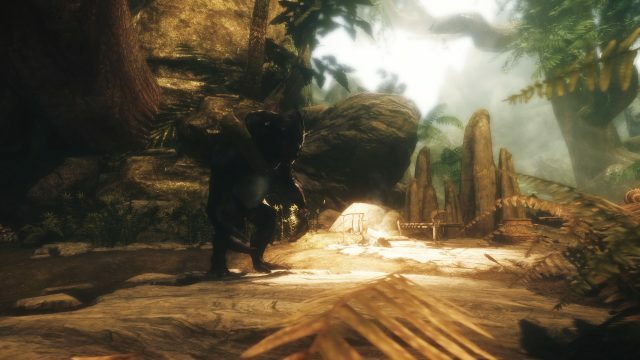 Skyrim might be a pretty old game, but the gameplay never gets old because there are countless mods out there for this beautiful game and each mod adds a completely new dimension to the game. 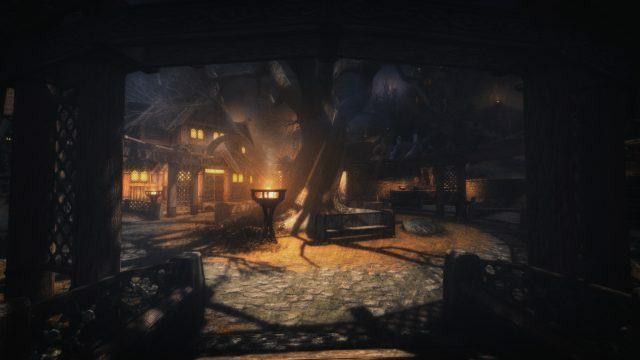 If you are bored of the basic game then do try out these amazing Skyrim mods and let us know what you think in the comment section below.